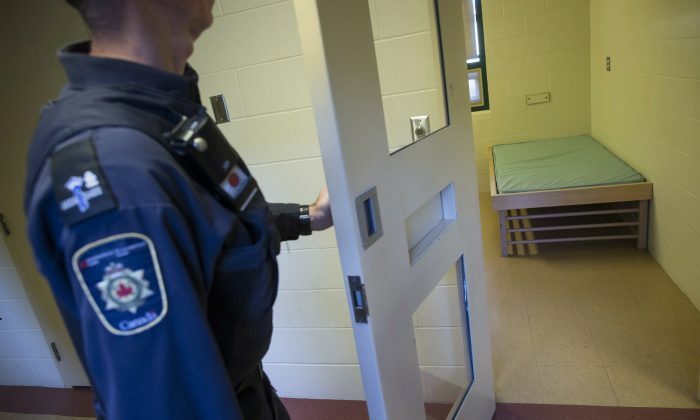 OTTAWA—Canada’s prison service must find alternatives to locking up inmates, especially women, with serious mental illness, says the federal correctional ombudsman. The Correctional Service of Canada needs to create more agreements with community providers that would allow for the transfer and placement of offenders struggling with severe mental issues in outside psychiatric facilities, correctional investigator Ivan Zinger said Oct. 31. Women with mental health problems are more likely than other prisoners to be placed in maximum security—cells where cramped living conditions can heighten tension, frustration, and conflicts, Zinger said in releasing his annual report. Overall, Zinger painted a grim portrait of federal prison life, citing high rates of mental illness, self-injury, and premature death as well as the long-standing over-representation of Indigenous people. Currently, there is no standalone treatment facility for federal female inmates. As an emergency measure, an acutely mentally ill woman can be transferred to an all-male treatment centre where she is kept separately in conditions that are far from therapeutic, Zinger said. The practice is “completely unacceptable” and violates international human rights standards, Zinger told a news conference. He recommended the prison service fund beds in community facilities to accommodate up to 12 federally sentenced women requiring intensive mental health care. “The price of not doing so may ultimately be more tragic and (result in) preventable deaths in custody and costly civil settlements in wrongful death cases,” the annual report says. Zinger highlights other problematic practices, such as the use of physical restraints, suicide watches, and segregation to manage men and women in serious psychological distress. While admissions and lengths of stay in segregation have dropped significantly in recent years, many such units for separating inmates from the general population lack proper ventilation, windows, and natural light, he said. Segregation yards are often little more than bare concrete pens topped with razor wire.